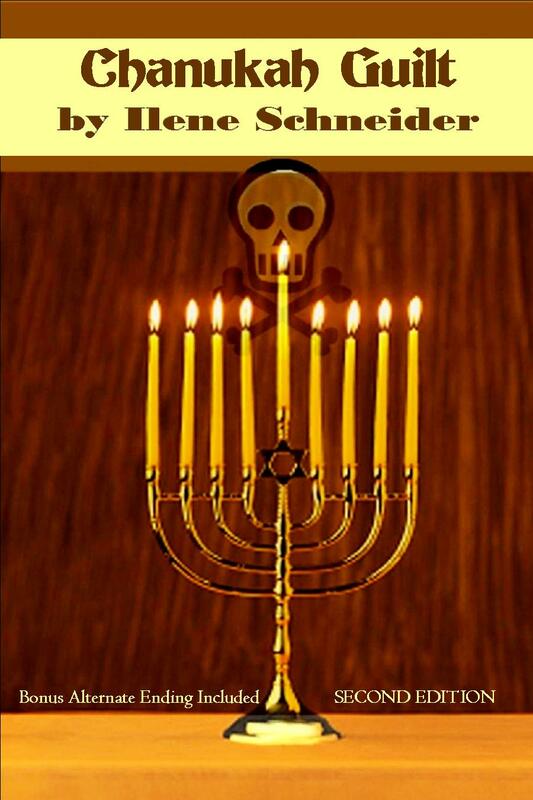 The new edition of CHANUKAH GUILT (including a bonus alternate solution) is now available from amazon. The kindle edition, however, is still the original. (There’s a glitch uploading the 2nd edition.) Buy early and often. A SECOND EDITION OF CHANUKAH GUILT! WITH A BONUS SECTION: AN ALTERNATE SOLUTION! Why a second edition? Unfortunately, my wonderful original publisher, Swimming Kangaroo Books, had to close its doors Even though owner Dindy Robinson was still supporting the books she had published, she was no longer able to accept new manuscripts. And, to be honest, I wasn’t sure just how long she would be able to supply the distributors with the print copies. 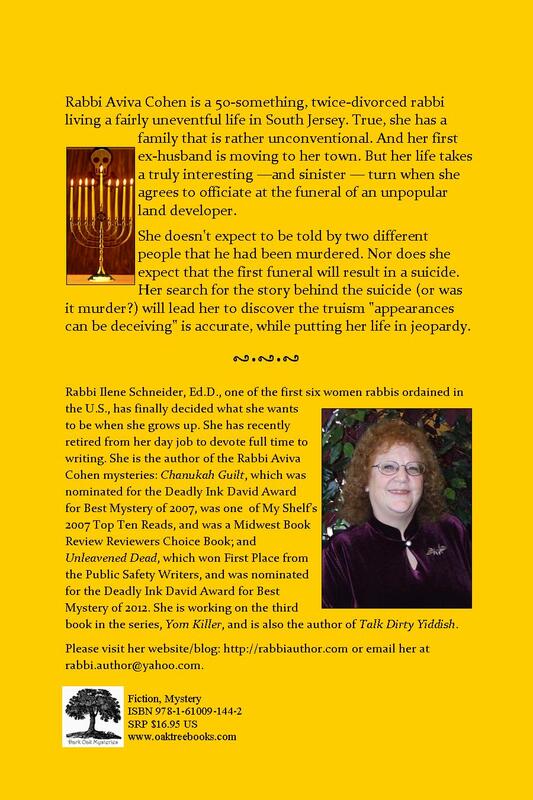 Fortunately, my current and also wonderful publisher Billie Johnson of Oak Tree Press published the second Rabbi Aviva Cohen mystery, Unleavened Dead. Reissuing Chanukah Guilt by the same publisher would mean a single source for both (and, I hope, all future) books in the series. But also, a new edition would give me the chance to fix those pesky typos and continuity errors that sneak through no matter how many people proofread, no matter how carefully they do so, and no matter how many times. Chanukah Guilt had been available for several months and I had presented several readings when I suddenly realized that there was a major (to my mind) error in a section that I had read aloud probably a dozen times: Aviva calls 911; the dispatcher answers, “Evesham Police.” The problem is that even though I live in Evesham Township, Aviva lives in the fictional town of Walford. And I now had the opportunity to edit references so the book does not seem too dated. I eliminated mentions of stores that no longer exist, to movies and TV shows that root the book in a particular time, and to technology that is now outdated. Aviva is no longer going to the movies to see The Two Towers or shopping at Borders, for example, and her PalmPilot is now a generic cell phone. After Chanukah Guilt was published, I began to have second thoughts and wonder if I had chosen the wrong ending. “Perhaps it would have been better if …” So, in the tradition of DVDs that include extras such as director’s cuts and commentaries and outtakes, I have appended an alternate solution. In this way, you can decide which works better.